This little Red Book presents a pocket size guide to meaningful design. Seven stepping-stones that help you cross the stream of change, and get you to the other side, firm and dry. The guide is an important iterative and strategic approach based on holistic thinking, shared wisdom, and reflective insights, and will help you to make design better – and matter! 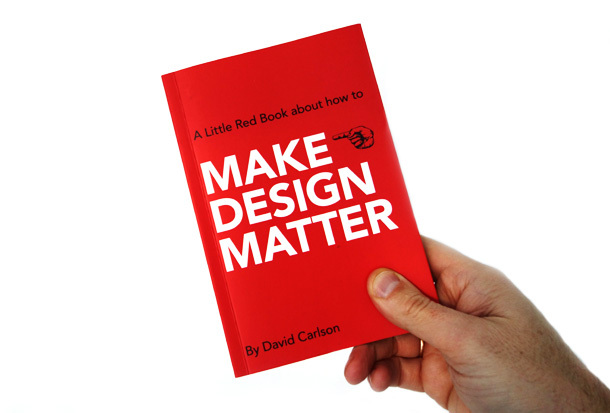 Make Design Matter is published by BIS publishers. The book is also available in German with the title Design Oder Nicht Sein, published by Midas.